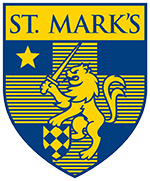 St. Mark's believes in the education of the "whole boy," and encourages its students to expand their minds beyond the classroom and playing fields. Students are offered a wide range of artistic outlets to explore, including its nationally recognized and award winning programs in photography, ceramics, woodworking, choir, drama, painting/drawing, debate, band, and orchestra. Lower School Drama rehearses "Johnny Appleseed"
The Upper School Drama Department presents "The Odd Couple"
University of Oklahoma - B.F.A. Southern Methodist University - M.L.A. SUNY at Rockland Community College - A. A.
SUNY at Purchase College - B.F.A. State University of New York - B.S. University of Rochester - Eastman School of Music - M.M. University of Rochester - Eastman School of Music - D.M.A. Texas Christian University - M.F.A. University of Colorado - B.A. Southern Methodist University - M. Ed. Dallas Baptist University - B.A. University of Texas at Austin - M.Ed. Southern Methodist University - B.Mus.Ed. Texas A&M University - Commerce - B.S. Texas A&M University - Commerce - M.F.A. Southern Methodist University - B.M. Southern Methodist University - M.Mus. University of Kansas - B.G.S. University of Texas at Dallas - B.A. University of Texas at Dallas - M.A. University of California, Los Angeles - B.F.A. University of California, Los Angeles - M.F.A.